great trash ….where they are the real results? Thanks for posting this. Some of those results were incredible. Now if this isn’t a hoax (I personally believe it is real), then this is basically the cure we’ve been looking for. I’d like to see Dr Hitzig regrow a full head of hair and not just a few patches here and there using a hundred or so plucked hairs. His Acell serum is very intriguing-perhaps no hairs would need to be plucked at all-just the serum and the creation of wound sites would be enough to sprout new hair. It’d make the procedure far simpler and quicker if it does really work. I look forward to hearing of Dr Hitzig’s continuing progress. First bit of exciting news that we’ve seen on this board in a very long time. In the third link most of these results are conventional transplants where he just soaks the grafts in acell before planting them in the recipient or using acell in donor for better scarring.Only one from what i understand is with plucked hairs and acell and he put the plucked grafts in the donor not the recipient. not a single word in german media about "the cure"
Wait that last dude is only 550 regular grafts dipped in Acell + arterial blood? That’s an insane amount of density for such a low graft count. 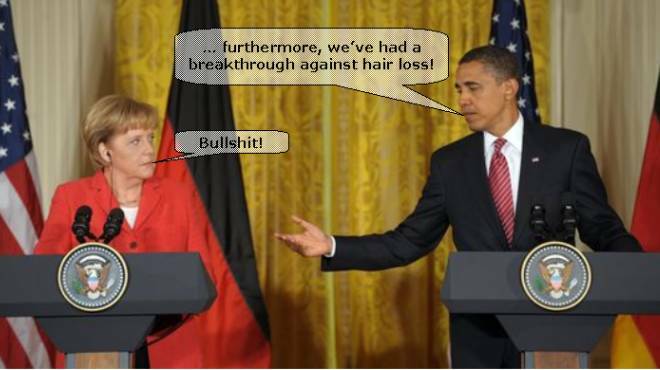 So why should people in Germany be able to report about an outlandish “hair loss breakthrough” in a professional way?? » “hair loss breakthrough” in a professional way??
" Do you guys like those results? I Dont because all those guys will look like EMO Tokio Hotel As*es"
Naaaaa just kidding those results are fantastic and most important the look realistic and authentic. why dont you buy yourself a load of your pixie dust? Its available!!! You can sniff it up your nose and maybe it will even grow you a brain. dont waste your time here, earn a few bucks and buy yourself a ticket to hitzig. Cute but i can use trips like that as business trips thats ok guess. Du willst ja wohl nicht sagen, dass dich da irgendwas wundert? So einen inkompetenten Penner wie den Typ - na halloooo! Der Typ hat NULL Ahnung von irgendwas. Ganz genau NULL! Da hören sich ja noch Posts von durchschnittlichen 08/15-Foren-Pennern intelligenter und seriöser an, als jene von dem Penner. Aber das ist ja nur meine persönliche Meinung - welche ich allerdings sogar jederzeit geradezu wissenschaftlich untermauern könnte, und zwar anhand von unzähligen (sowie säuberlich dokumentierten) Beispielen. Und genau wie ich schon Posts zuvor erwähnte, WER sollte im deutschsprachigen Raum tatsächlich über “Breakthrough’s” vernünftig berichten, wenn es von solchen inkompetenten Pennern in der Branche nur so wimmelt? 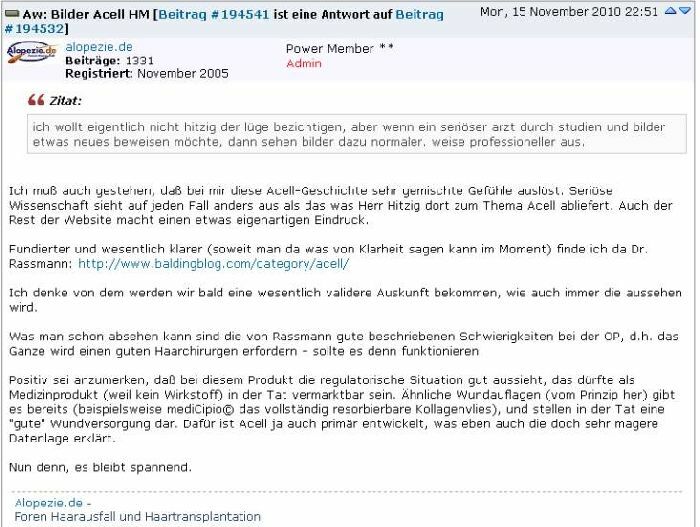 Das was mich am meisten ankotzt ist die Dreistigkeit “Herr Hitzig” der gute Mann ist ein HT-Chirurg und zwar noch mehr als die ehemaligen Hattingen Zahnärzte, die nichts anderes als ekelhafte Seelenfänger sind, die sich das Leid zu Nutze machen und diese Personen als Bauern im Schachspiel benutzen.